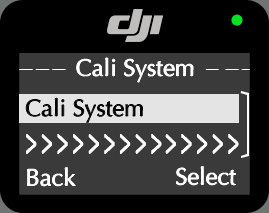 A custom-made pressure sensitive stick allows you to quickly change the settings, speed, and direction of your gimbal, all at the flick of your thumb. 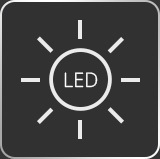 Control where your camera is facing and access advanced settings including calibration and channel settings. Making changes is even faster than when using the Ronin remote controller or mobile app, and can be done during any of your shots. The wireless thumb controller is perfectly compatible and ready to be used with both the DJI Ronin and Ronin-M. 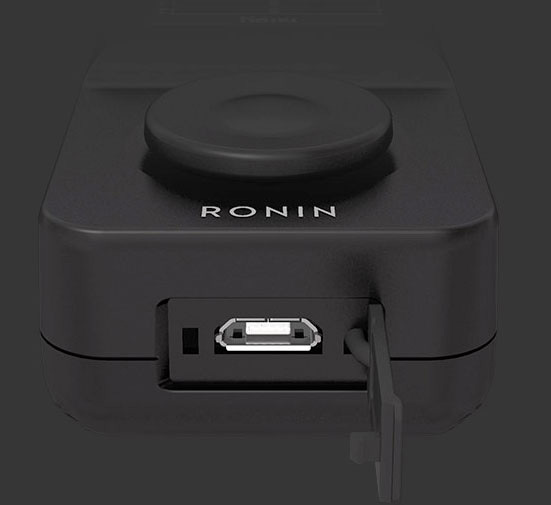 However an additional external receiver is required for use with the Ronin, while the Ronin-M’s built-in receiver allows use without any additional parts. easily to the handle bars or can be placed anywhere you like, no tools required. 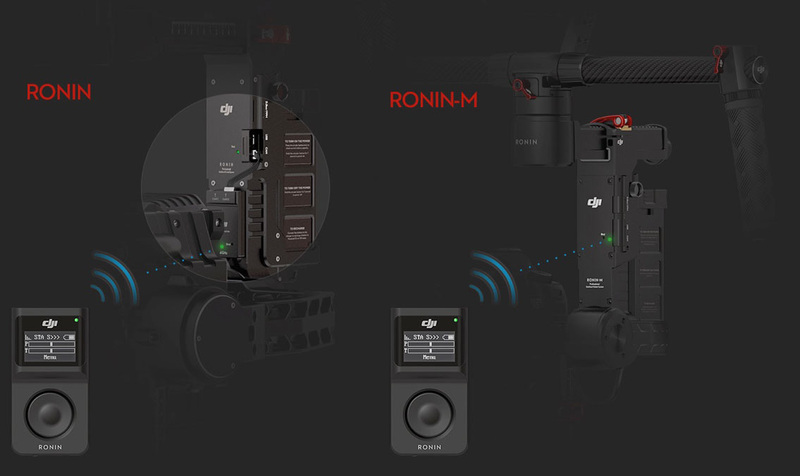 compact yet powerful display makes accessing the basic functions of your Ronin or Ronin-M easy. 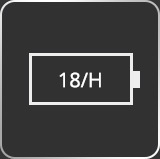 The Thumb Controller’s built-in rechargeable battery gives you up to 18 hours of power per charge, enabling you to use it all day without worry. If you prefer to control your Ronin or Ronin-M from a distance, the nearly 200 foot (60 meter) transmission range makes capturing unique shots easy. 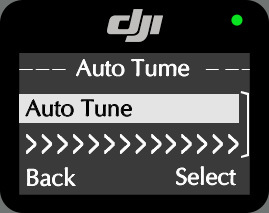 You can now perform an Auto Tune Stability or even calibrate the gimbal without being tethered to your mobile device. 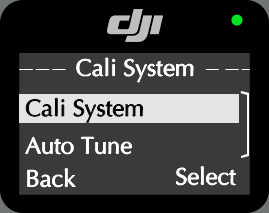 Simply enter the main menu in the thumb controller and select Cali System or Auto Tune under the Gimbal menu item. Be sure to upgrade your Ronin's firmware to the latest version before using the Ronin Thumb Controller. The GCU firmware must be V1.0 or higher and the IMU firmware must be V3.0 or higher.